Veeranganakumari Solanki is an independent curator and art-writer. 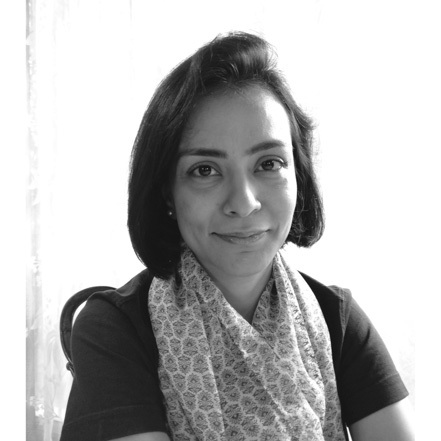 Her curatorial experience has involved research, curating and co-curating exhibitions, writing for art publications and journals on emerging Indian, Asian and international artists and art practices; in India and internationally. Her interest lies in the manner in which interdisciplinary forms merge with art to create dialogues that travel from public spaces into private ones. She has contributed papers and articles to several international art journals and publications including Flash Art, Culture360, TAKE, Kolaj and several others. She has lectured on curating and art practices, and conducted workshops internationally at institutes such as the Siddhartha Art Foundation, Kathmandu; the Asian Contemporary Art Conference, Taipei; Icastica, Arezzo; Academia di Belle Arte, Florence.